There's a natural synergy between mountain sports & DIY fiber crafts. Get to know world-class snowboarders and skiers and see how they're honing their crafts both on and off the mountain. Check out the book Stitch Mountain, in which athletes like Tommy Moe, Daron Rahlves, Picabo Street, and Julia Mancuso inspire DIY winter fashion, encouraging us all to create our own gear. Join us at exciting ski and snowboard events throughout the season where we'll teach you how to knit and crochet. 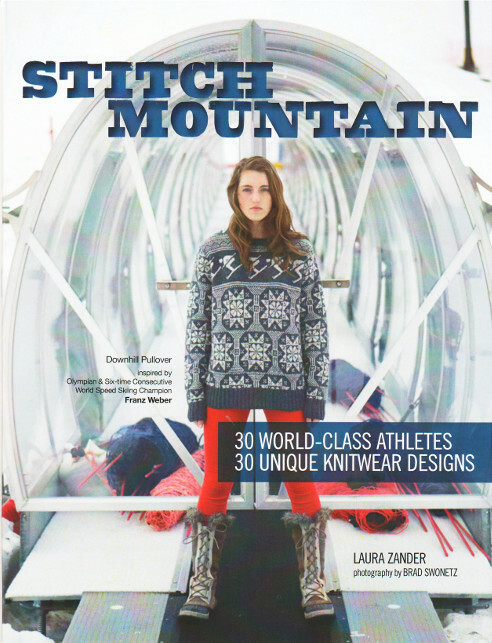 More details about the athletes, the designs in the book, great free patterns and help on how to learn to knit or crochet can be found on our official Stitch Mountain site.